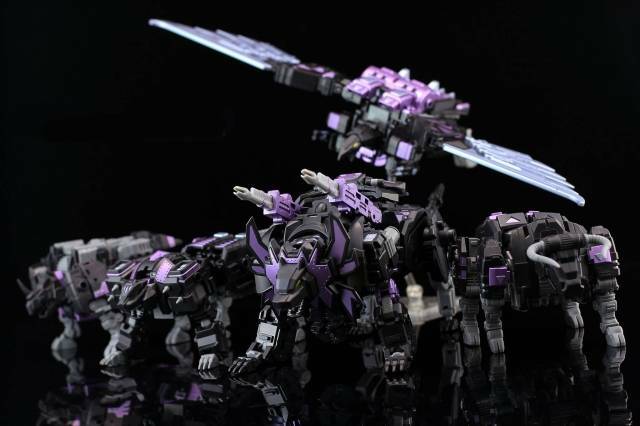 Nero Rex the even more sinister version of Feral Rex includes all 5 figures that combine together! A limited edition convention exclusive, toys come in giftset packaging. 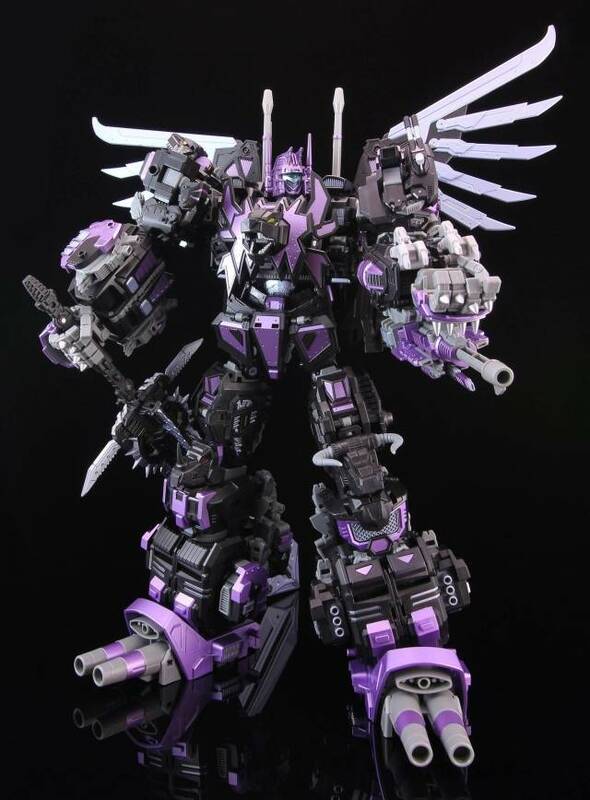 Each figure is approximately Masterpiece scaled, and includes all the combiner parts to form the mighty and sinister Nero Rex! All combiner parts to form the mighty Nero Rex! Price for both	: $509.98! Best, most versatile combiner EVER!!! (1) Transformations. Whether changing individual figures to alt modes & back or combining to form the gestalt, you're looking at a fun & not overly complex experience. Everything is logical with very little guesswork. (2) ACCESSORIES!!! Each figure is loaded their own individual weapons & no matter what mode they're in, everything goes somewhere if you like, placement options are almost unlimited! 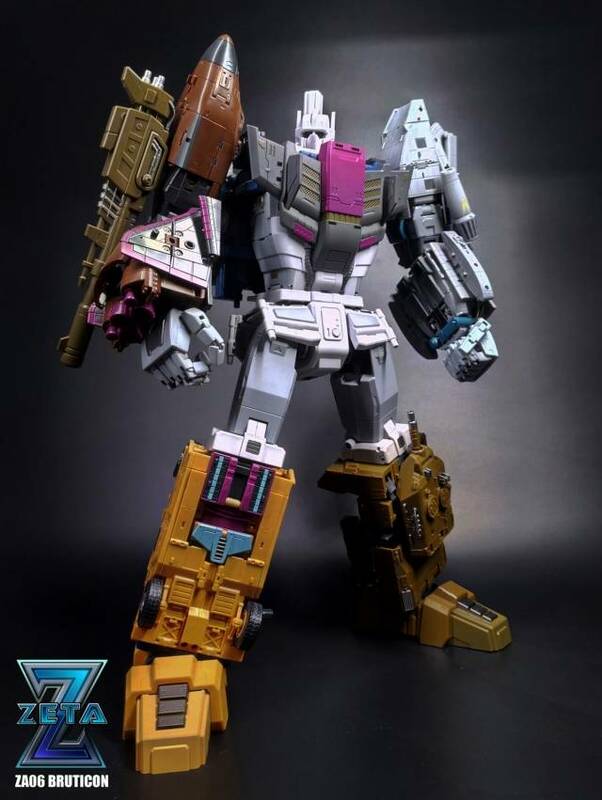 The gestalt feet & hands join to form giant cannons for Bovis & Fortis. Each individual sword/knife can combine to form the giant sword for Nero (or 2 slightly smaller swords) AND the guns can combine to form the large arm cannon. There are multiple configurations for the weapons (more so than I've seen in any other gestalt)! (3) Build quality. Although there is no die-cast, it isn't needed because the plastic quality is top notch! Considering all the engineering that went into this set, everything is quite solid. It either equals or rivals other 3P companies. (5) Just fun!!! Many will want to keep him in combined mode, but no need to feel intimidated, each individual figure is too fun to just leave in one mode because their are so many options!! You definitely get your money's worth with the whole set! A must for any collector, especially if you do more than display your figures! I was looking for an updated version of Predaking. After taking a look at the different options from Third Parties, I chose this MMC black and purple exclusive version and I'm so satisfied with my purchase. This figure stands out on my shelf. It is worth the price. 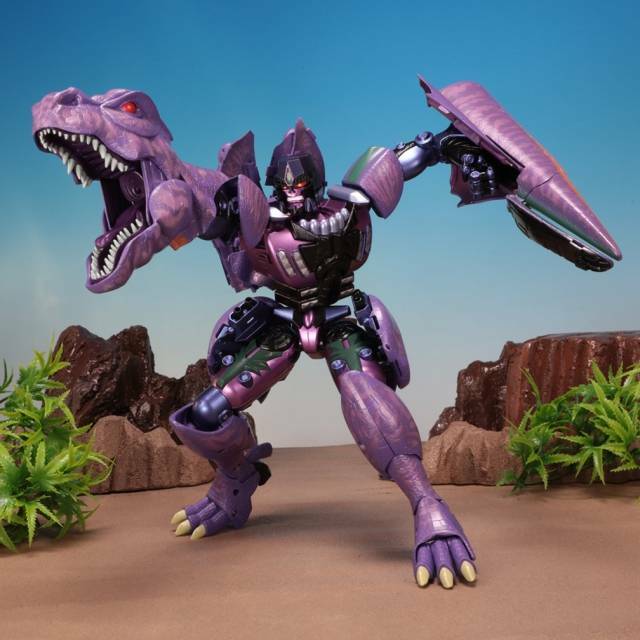 I have only recently gotten into the world of 3rd party toys and I have been drooling over Nero Rex for a long time now. And I never thought I would own one. But he is fantastic, and the few gripes I have are rendered moot. He, at least for me, is as close to perfect as one can get. The downsides? The combined mode hips are a bit thin, making his stances a bit awkward at first to learn. And his combined mode shoulders are the same. It makes the lower legs and forearms a bit bulky and difficult to maneuver right. 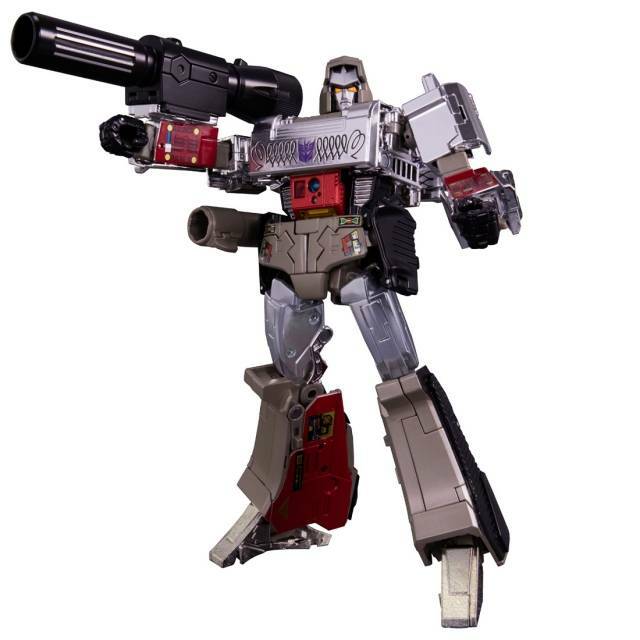 And lastly the combined mode elbows don't have much range of motion. But that is it. Minor range of motion issues for the combined mode. Everything else is fantastic in my opinion. Though I wish I could have a Felisaber the Subservient for him as well. But that is me being greedy. If you can pick this set up. Do it. The combine mode has extremely solid joints, and once you put Nero Rex down, he stands without problems. This set is an absolute A+ in my book, and probably has the best combine mode I've ever seen on a third party figure. Heck! I even think this is better than official combiners! I can't recommend this set enough. And if you are into Nemesis, you can't resist this. And if you do pass this set, and see one in person, you WILL kick yourself for not getting it. 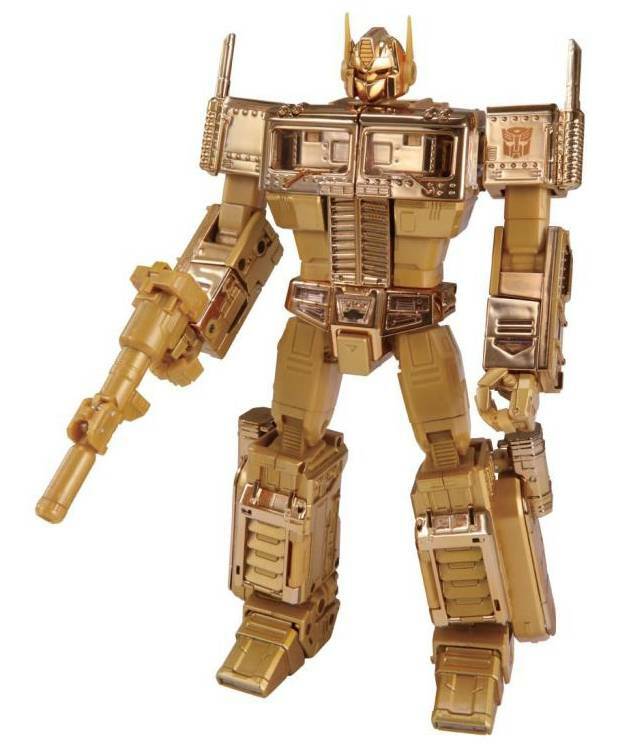 Were you a fan of G1? Did you own Predaking? Was it the die-cast, or all plastic version? Did you own both? If you can answer yest to any of the previous questions. Then you should NOT be passing up this toy. Don't get me wrong I like Feral Rex as well. However this one stands out far and above his red, orange, and yellow counterpart. 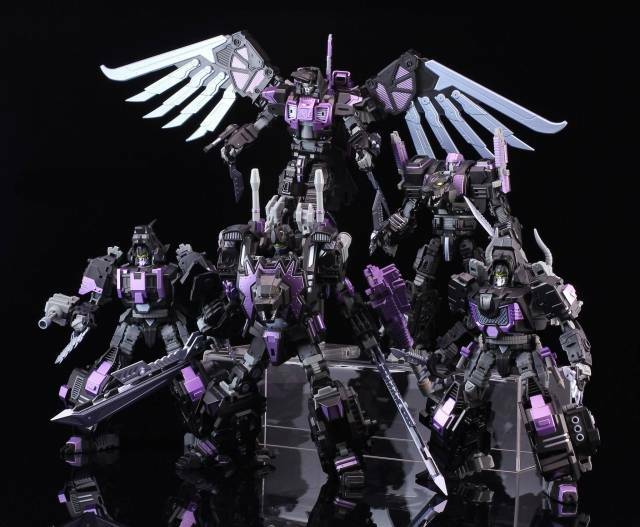 The black, and purple color blocking on these figures, is far more Decepticon concentric. All of the individual weapons transform into the larger weapons, and body parts. So there is nothing loose laying around, to get lost. 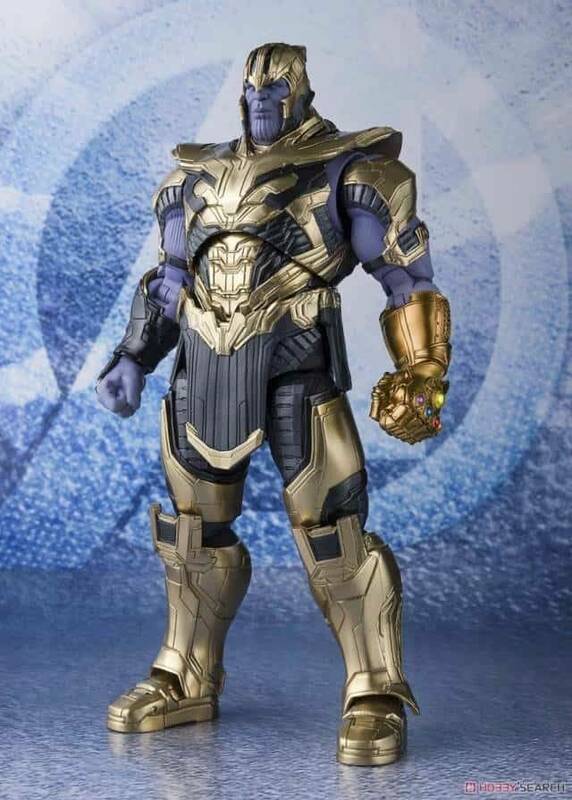 Also he comes with the King's Claws, and some bonus items, like add-ons for the feet to give them friction on smooth surfaces. everything about this toy screams perfection, and homage. Weather to buy feral, or nero, separately, or in a complete set. Passing this toy up, is NOT an option. If you do, and end up ever seeing one in person. You WILL kick yourself. Excellent like the original in every way. Comes with the add-on kit for the combiner fingers and the weapon fillers. Only downside is that it's so dark you lose most of the detailing. other than that if you can't get a hold of the original, this one is just as good if you don't mind the coloration. I'm not generally a collector of 3P transformers (esp redeco's), but loving the Predacons I decided to take a risk on this guy, and so glad i did. 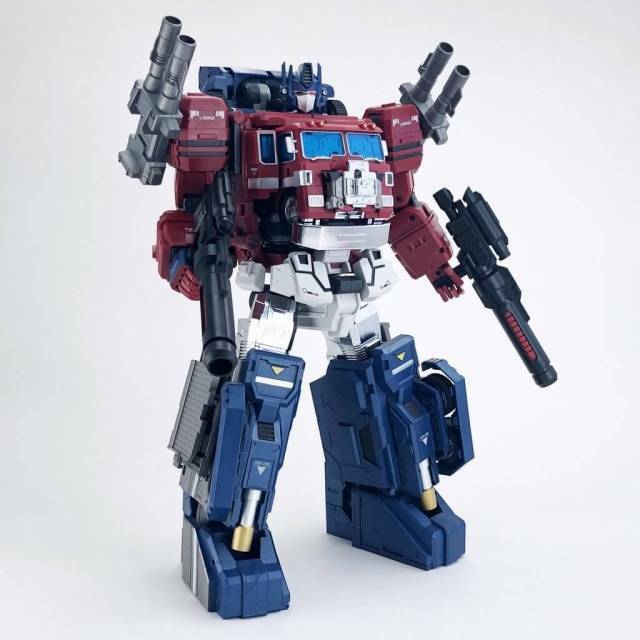 MMC have done an amazing job here, the figures have a great quality feel to them, solidly built with good heft and that paint job it out of this world. Individually the bots look great and all have good levels of articulation making posing easy, alt modes look superb and Rex himself is just outstanding, easily my favorite combiner ever. The weapons combining to make rex gun and that huge freaking sword is a really great touch. 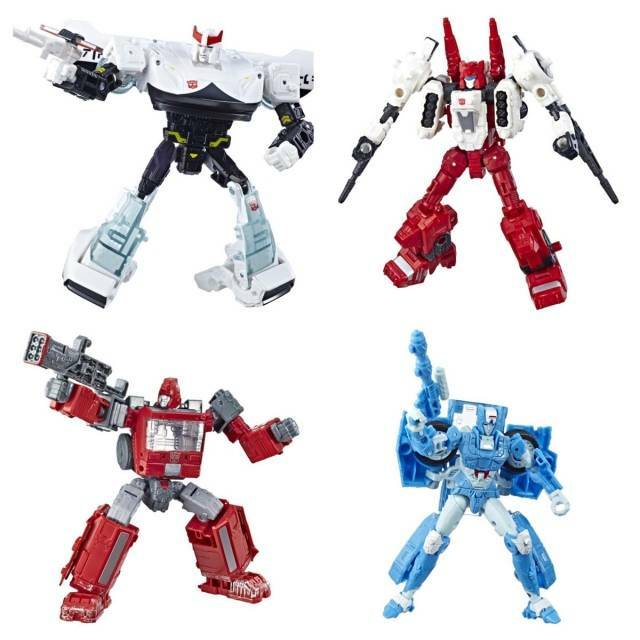 The only downsides (and i'm being picky here) is that the individual bots hands are not great, being solid molds and fortis and bovis have real issues holding their swords/knives convincingly. The fittings are also too tight to make the dual swords for rex. Also i want 2 more to display in all modes at once but that's not gonna happen! Overall I can't recommend this set enough, and the price for the 5 is a real bargain too. This is one extremely impressive figure! Each figure feels very solid. The hands and feet attach in a way that makes it look natural. Comes with a bag of claws to put on the fingertips making it even more imposing. Make sure the area you want to display this is firm as this guy is a heavy one. If you can afford this one you won't regret it! Very solid figure. Eminently poseable. The color scheme is one of the best I've ever seen. I put him in gestalt mode for a while, then played with the individual figures for a little bit, then put him back into combined mode. Haven't taken him out of that mode since. He cuts a really impressive figure! The only problem is with the aforementioned poseability. It takes a bit of effort to get him into a more extreme pose, but once you get him there, he's staying.